Tattoo Art for those interested in tattoos and body art. Tattoo Art is my specialty! I've been a Tattoo Artist for years. 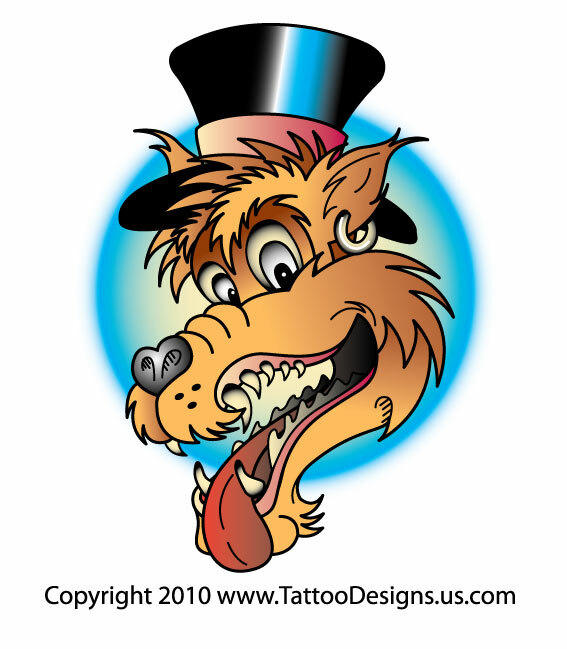 Do you need a custom tattoo designed? I can give you a very affordable quote based on your description. A Tattoo Shop will appreciate the fact that you've brought the finished piece in before they begin adding the ink. It makes their job much, much easier plus YOU'LL PAY LESS FOR THE TATTOO because the design is already completed!!! Shoot me an email and your ideas and I'll get back to you as soon as possible andy@andynortnik.com. In the mean time, post your comments and thoughts here in my Tattoo Art blog. Do you already have a tattoo that you're proud of? 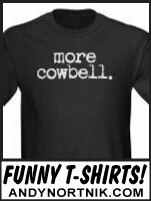 Well, post a photo here and show it off! Let us know how you arrived at the design. Is there a special meaning behind it? Is it based on another tattoo or tattoo style you like? Feel free to give your tattoo artist or tattoo studio some kudos here! I'm totally open to posting most links to Tattoo Studios, portfolios of Tattoo Artists, Tattoo Websites, etc. to give them some extra traffic! Give us a shout and let's get the conversation started! Here's one of my favorite Tattoo Designs. 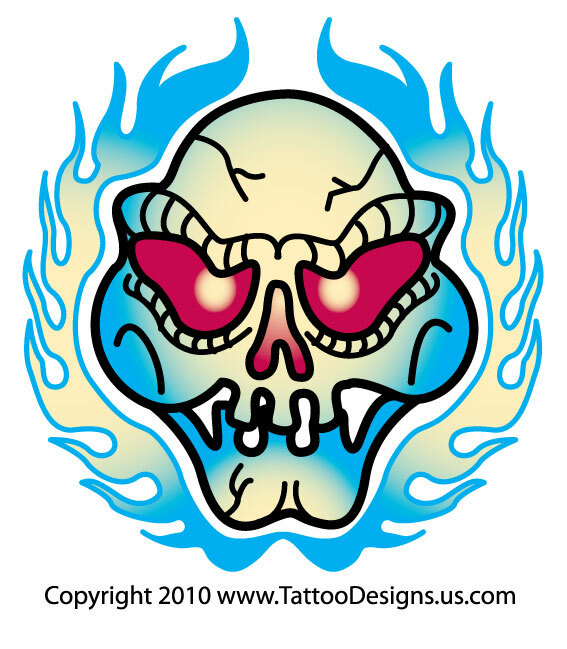 It's a Skull Tattoo with flames! I tried to use a very bright color palette. I blended the blue and the cream colors and was very happy with the results. It's not your traditional Skull Tattoo and I think that's why I like it so much. I tried to wrap the flames around the skull to give it a nice frame. The red eyes give it an evil expression but not too evil. His smile is more of a sinister grin. I enjoyed drawing this skull and I will probably add more Skull Tattoos to my collection in the future. 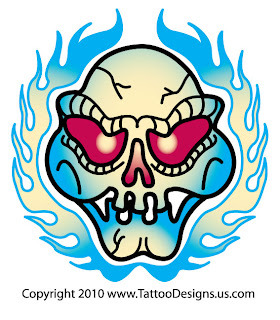 If you like this design, please click the link below to check out all of my Tattoo Art, thanks! Thanks for checking out my Tattoo Art!